On one hand, browsing websites can be educational, fun and entertaining. While on the other hand, browsing certain websites can be frustrating and difficult. The cause can be from various different reasons, however one of those can easily be ruled out by trying out different Internet Browsers. There are many different browsers available and best of all they are all free to download and use. Some of the most popular browsers include Microsoft’s Internet Explorer, Apple’s Safari, Mozilla Firefox, Google Chrome, and more. Internet Explorer comes already installed on all Microsoft Operating Systems while Safari comes installed on all Apple devices. Internet Explorer is a good browser, however there are some limitations to viewing the latest and greatest in code developments available on the web. One thing to remember is that many coding modules are still in the Working Draft or Last Call stages. Some newer features may not work with Microsoft’s product until the code has been accepted as a Standard. 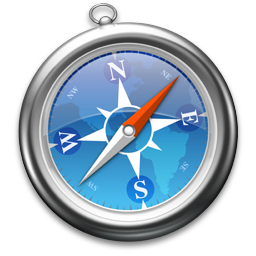 Because of the wide range of Apple products on the market, Safari is one of the most used browsers available. It is a great browser and supports most of the newer features available on the web. Browsers such as Chrome and Firefox are also great browsers that can easily be installed directly from the developers websites. They are both fantastic at staying on top of the latest web trends and keeping their product up to date to accept the newer code used in websites. 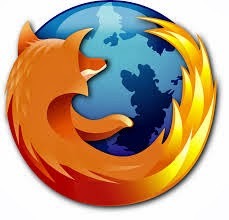 As a web developer, I personally like to use Mozilla Firefox due to it’s ease of use and its built-in development tools that it has available. Many factors can come into play when browsing a website and it is sometimes hard to know or even understand why they don’t work. It is important to keep your browser version up to date to properly view the latest features available on websites. It is also important, if you have a website of your own, to be sure your website is developed with the latest code standards to ensure your customers have a pleasant user experience while browsing your website. Ultimately, what browser you choose to use is your decision. Don’t feel like you are stuck if you can’t view a website properly on a particular browser… it may be the browsers compatibility with that website. Try a different browser and go to the same website to see if you have the same issues… you just might be surprised and save yourself a headache. Here are some great browser support references for developers or just the inquiring mind using HTML5 and CSS3. i’m sure that the developers of all these new browsers and new technologies are absolutely thrilled with what they have invented, but at some point in time that added capacity has to be measured against what the actual consumer recognizes and accepts as the need for “more”, “better”,and “faster”. Money only goes so far these days. I’m sure i’m not alone in my reluctance to download yet another new bells and whistles program, or take money out of my food budget just to get yet another brand new computer while my old one is still functioning well. conspicuous consumption and consumer ‘gotta-have-it’ notions can only go so far before they meet headlong with the reality of life. This was a very interesting article. As a casual computer user I didn’t know any of this. Now when I go to my boys for help I can ask more intelligent questions or at the very least understand what they are telling me. i use mozilla firefox and really loke it, i tried google chrome but hated it. I generally use FireFox alsop because my web provider’s app is used on firefox. But often, PDF’s don’t show up properly & I have to open them from Explorer to get the true picture. Had that problem just this month with Pat Sloan’s new BOM! Before I got my current computer (Sept 2012) I had used FireFox and loved it. The new (present) computer didn’t like it at all. I’m using Google Chrome and love it. Go figure!